We've listed the top SUV deals and incentives for shoppers interested in getting a great deal on a new SUV or crossover. In the 2017 Hyundai Tucson, you'll find a very stylish compact SUV with a choice of two fuel-efficient engines, available all-wheel drive and a long list of features to meet just about any need. Although newer rivals like the Honda CR-V and Mazda CX-5 offer a bit more in terms of fuel economy, ride and handling, the Tucson can tout its available turbocharged engine, excellent resale values and impressive standard 10-year/100,000-mile powertrain warranty. Yet while the Tucson has proven itself worthy on paved roads, it can't really tackle off-road obstacles in the same manner as the Jeep Cherokee Trailhawk or Subaru Forester, something to consider if you do a lot of outdoor activities. The Tucson offers two power plants. Base-level SE models use a 164-horsepower 2.0-liter 4-cylinder engine, which comes with a 6-speed automatic transmission and front- or all-wheel drive. Front-wheel-drive models return 23 miles per gallon in the city and 30 mpg on the highway, while opting for all-wheel drive (AWD) drops gas mileage numbers to 21 mpg city/26 mpg hwy. 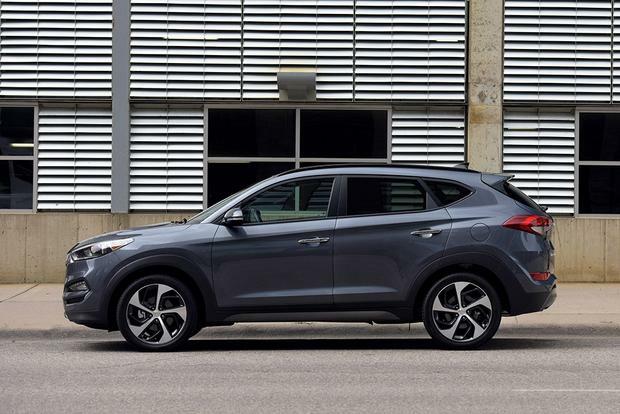 All other Tucson trim levels are powered by a new 175-hp 1.6-liter turbocharged 4-cylinder, which is mated to an impressively smooth 7-speed dual-clutch automatic transmission. 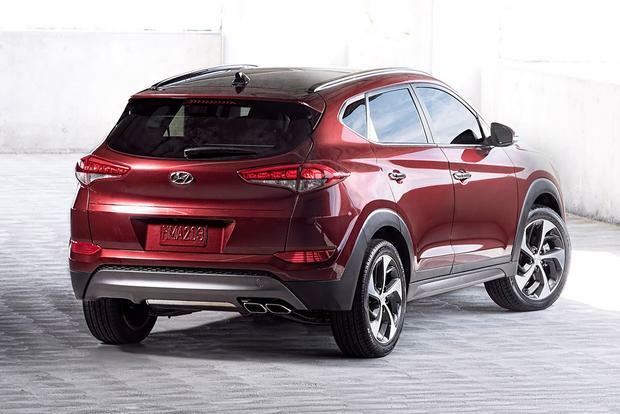 Fuel economy with this engine tops out at 25 mpg city/30 mpg hwy with front-wheel drive, 24 mpg city/28 mpg hwy with AWD or, if you opt for the fuel-saving Tucson Eco, 26 mpg city/32 mpg hwy with front-wheel drive and 25 mpg city/30 mpg hwy with AWD. 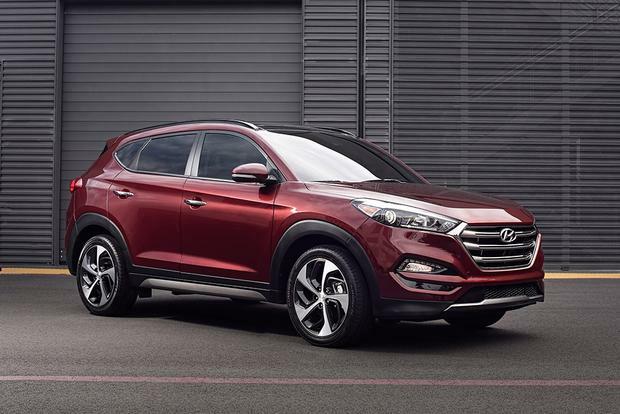 The Tucson is offered in four trim levels: the base-level SE, fuel-saving Eco, midlevel Sport and upscale Limited. The Tucson SE ($23,595, FWD) ($24,995, AWD) is fairly basic, though it includes a few useful convenience features. Standard equipment includes a backup camera, YES Essentials stain-resistant fabric seat covers, air conditioning, 17-in alloy wheels, a tilt-telescopic steering column, Bluetooth, SiriusXM radio and a USB port for an iPod -- all items that are also included in most of the car's rivals. The SE also comes standard with the Tucson's mediocre base-level 2.0-liter engine. The fuel-saving Eco ($25,045, FWD) ($26,445, AWD) only adds a few extras, such as a chrome dual exhaust, rear-seat air vents, Drive Mode Select, and a power driver's seat with power lumbar support and turn signals built into the side mirrors. 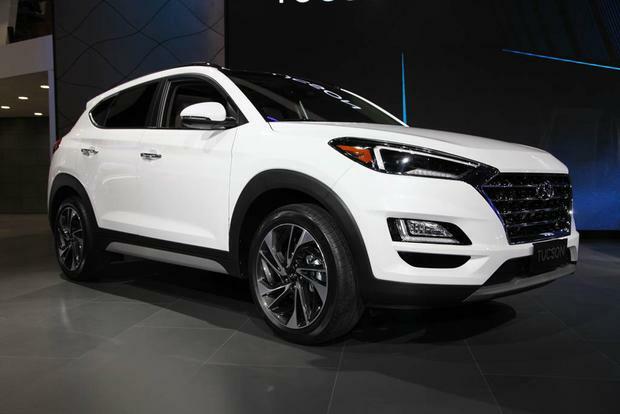 Its main benefit is the addition of the Tucson's 1.6-liter turbocharged 4-cylinder engine and 7-speed dual-clutch automatic, along with a few extra fuel-saving modifications to improve gas mileage. Up next is the midlevel Tucson Sport ($26,795, FWD) ($28,195, AWD), which adds 19-in alloy wheels, a blind spot monitoring system with rear cross-traffic alert, lane-change assist, heated front seats, a leather-wrapped steering wheel, a hands-free power lift gate and a proximity key with push-button start. Topping the range is the high-end Tucson Limited ($30,670, FWD) ($32,070, AWD), which boasts an 8-in touchscreen with navigation, 315-watt Infinity audio with Apple CarPlay and Android Auto, leather upholstery, a power passenger seat, LED headlights, automatic headlights, dual-zone automatic climate control, auto-dimming mirrors and Hyundai's Blue Link telematics system. As for options, the Tucson has two major optional packages. The base-level SE can be equipped with the Popular Equipment package ($750), which adds a power driver's seat, LED running lights, illuminated vanity mirrors and a glove-box light. 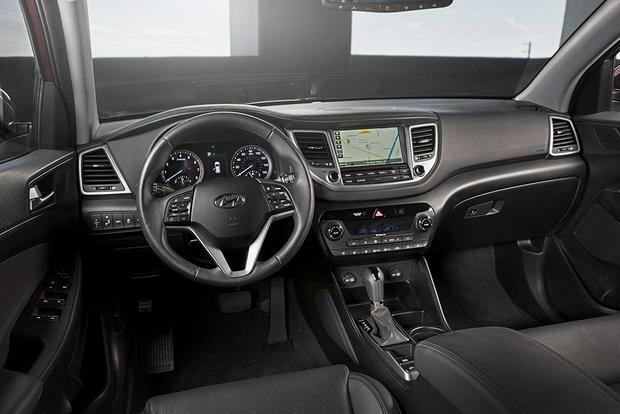 Meanwhile, the upscale Tucson Limited can add an even more luxurious Ultimate package ($2,750) that touts an LCD gauge cluster, ventilated front seats, heated rear seats, a panoramic sunroof, rear parking sensors, lane-departure warning, an automatic braking system and adaptive xenon headlights. The 2017 Hyundai Tucson offers virtually every modern high-tech safety feature you might expect from a car in this class. Standard features include side-curtain airbags, a backup camera and anti-lock brakes, while options include lane-departure warning, a blind spot monitoring system and a forward-collision prevention system with automatic braking. In crash tests, the National Highway Traffic Safety Administration gives the 2017 Tucson its highest rating of 5 stars overall, with 5 stars in the front- and side-impact tests and 4 stars in the rollover test. The independent Insurance Institute for Highway Safety (IIHS) gives the Tucson its highest rating of Good in all crash tests and Superior in the crash avoidance and mitigation test, earning the model a Top Safety Pick award. On the road, the Tucson is something of a mixed bag, though we suspect most crossover shoppers will appreciate the majority of what it has to offer. The Tucson touts a comfortable ride, predictable handling and, if you opt for the 1.6-liter turbocharged engine (as most drivers will), a tremendously smooth engine-and-transmission combination. 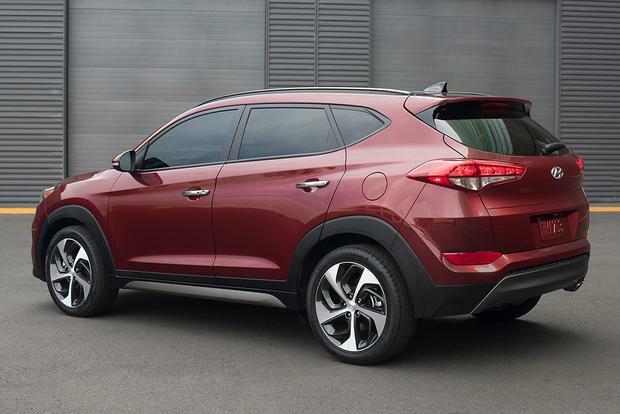 In all, we think the Tucson offers one of the most pleasurable, supple rides in the compact-crossover segment. Where the "mixed bag" remark comes in is for drivers who enjoy spending time behind the wheel. The Tucson isn't especially fun to drive, as acceleration is mediocre with either engine, and steering -- while suitable for the Tucson -- isn't exactly exciting. 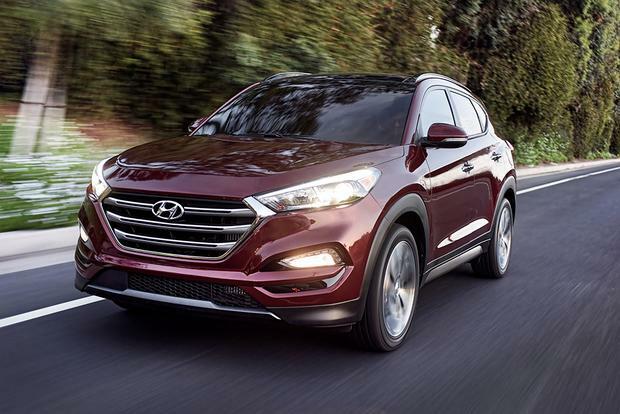 So while we think most drivers will appreciate the Tucson for its comfortable, smooth ride, those looking to have fun will probably want to consider another model with more power and improved handling. As for visibility, interior room and cargo space, we found the Tucson to be roughly on par with other models in its segment: It's not a standout, but it's far from being the worst in its class. 2017 Ford Escape -- The Escape gets a complete makeover this year, offering a choice of new turbocharged engines as well as an improved feature set. We think the Escape delivers a more dynamic driving experience but has a more cramped interior. 2017 Honda CR-V -- The Honda CR-V offers a lot of technology and the same smooth, comfortable ride as the Tucson. We'd be sure to add it to our shopping list, too. 2017 Mazda CX-5 -- If you like the Tucson's equipment and fuel economy but want better handling and performance, the CX-5 is the way to go. 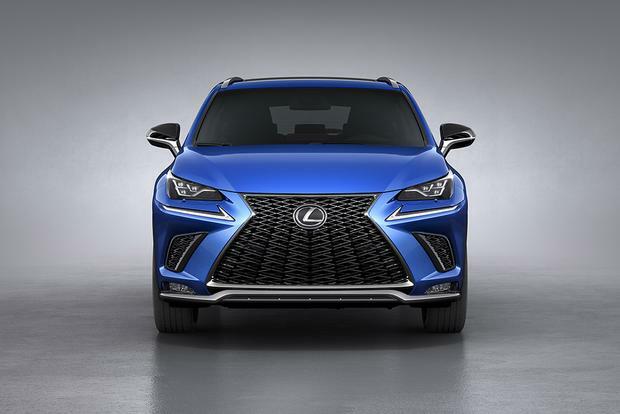 It offers all the usual compact-crossover charm with an improved suspension and steering for a more enjoyable driving experience. There's also a diesel engine option. 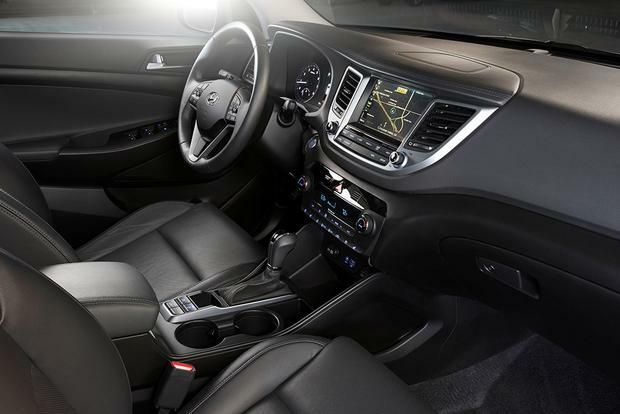 Used Hyundai Santa Fe Sport -- Drivers who like the Tucson's many attributes (including Hyundai's excellent 10-year warranty) but need a little more interior space may want to consider the Santa Fe Sport, which offers everything we like about the Tucson in a larger package.